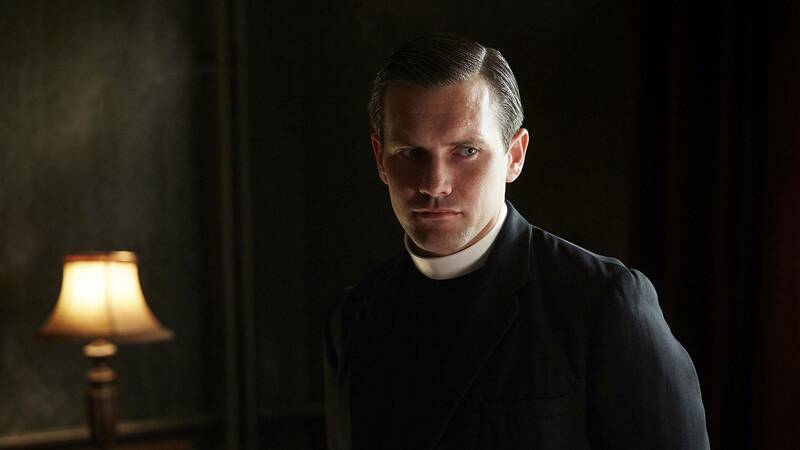 Tom Hereward in Episode 4 of Call the Midwife. Now that Sister Ursula is gone and Trixie is back in action, things have finally settled down at Nonnatus House. Elsewhere in the neighborhood? Well, that’s a different story. After all, Poplar just wouldn’t be Poplar if the streets weren’t alive and well with expectant mothers and family strife. So where are our midwives now? Before we dive in, let’s first take a minute to reflect on the resilient mothers that Season 6 has introduced us to thus far. There was Trudy, who bravely fought to protect her children from an abusive husband, and Penny Reed, who never gave up hope of delivering her baby during a high-risk pregnancy. And of course, let’s not forget Jessie Marsh, a rock who stood by her injured husband after a catastrophic explosion, and Lucy Chen, who rushed her ill child to the hospital though she too had carbon monoxide poisoning. Now, meet Marnie, an equally tough Poplar mom who was abandoned by her husband and is now faced with loans to pay off and a date with the magistrate. As Trixie’s first case upon her return from South Africa, Marnie has a long road ahead of her and more than childbirth on the mind. Meanwhile, delivering a child is all that Shelagh can think about. When we left off from last week’s episode, Shelagh and Dr. Turner were still overcome with sadness after Shelagh started to display symptoms of miscarriage. Now, while she remains in the hospital waiting for her test results, Shelagh befriends her roommate, Gloria, and finds comfort in her optimism. Though Gloria has already miscarried in the past, she remains hopeful and is quick to take Shelagh under her wing for support. 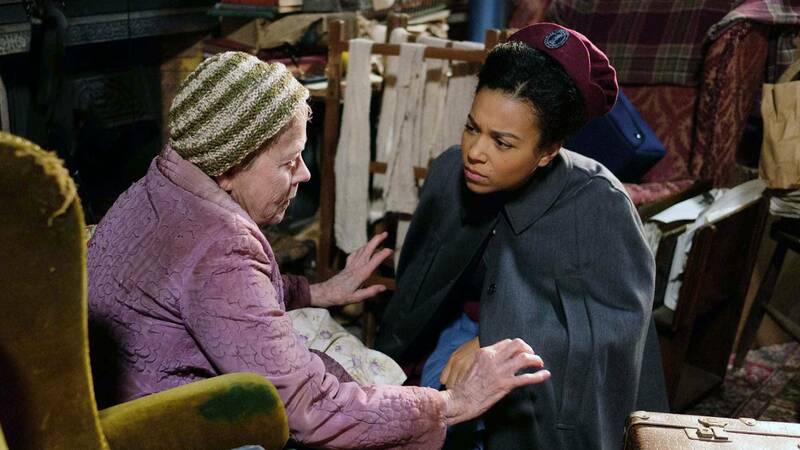 As Shelagh sits by helplessly waiting to learn about the status of her baby, Marnie has an uncomfortable encounter at home as she too wraps her head around loss. Struggling to make ends meet and with two children already in tow, Marnie is confronted with a difficult decision when her sister Dot, who is unable to have a child of her own, offers to adopt Marnie’s baby. A check to help pay the bills seems more reasonable, but sure, that works too. 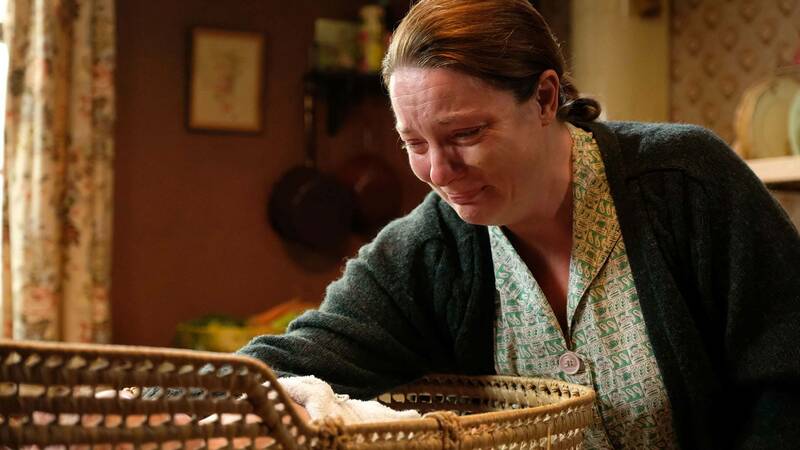 Recognizing her dire situation, however, and discovering that she’s being evicted soon, Marnie begrudgingly agrees to let Dot and her husband Eugene adopt the baby with no other options in sight. Eagerly awaiting her chance to be a mother, Dot accepts without skipping a beat. Do you see that face? Really eager. Reel it in, girlfriend. 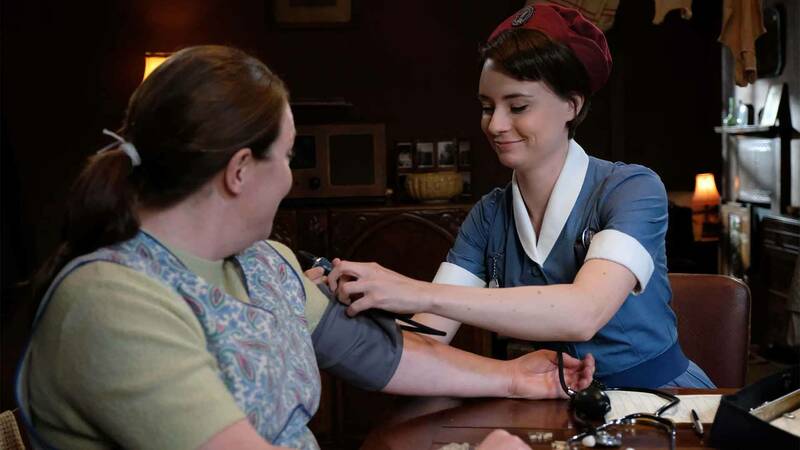 As word of Dot and Marnie’s unusual family business deal spreads through the grapevine, the midwives are quick to reveal conflicting perspectives on the matter. Yet it’s Tom who brings that Nonnatus House cheer to the party when he discloses that he was adopted as an infant. What better time to bring up your complicated family history than in front of your fiance and her colleagues, am I right? However, Tom quickly gets looped into Marnie’s situation anyway because one Nonnatan’s patient is everyone’s patient. After christening Marnie’s baby for her, Tom begins to understand just how traumatizing it is for a mother to give up her child. Having always been on the other side of adoption, Tom explains to Barbara that while he had a content childhood with his adoptive parents, witnessing Marnie’s pain firsthand has blurred his feelings on the subject. Back at the house, the Nonnatans have started the exciting task of interviewing prospective midwives. Now that they are three women down (anyone miss Sister Ursula yet? ), the team needs to fill the empty spots in their tightknit family as quickly as possible. Babies are being born every day, after all, but these prospective candidates aren't exactly hitting the mark. Alas, no one will ever compare to Patsy or Sister Mary Cynthia, but Sister Julienne already has a particular candidate in mind. In Episode 2 we met former military nurse Valerie Dyer when she helped Shelagh tend to the injured of an unexpected dockyard explosion. 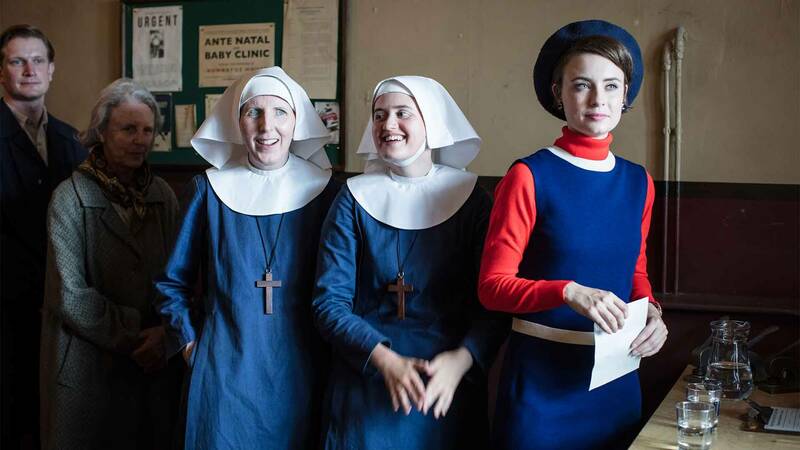 After leaving a lasting impact on the midwives, Valerie suddenly finds herself sitting before Sister Julienne, who asks her to apply for the open position at Nonnatus House. Obviously, she says yes. If only job hunting were that easy. Later, the tale of two estranged sisters begins. After Marnie gives up her child, she’s quick to confide in Tom for his guidance and eventually confesses that she wanted to keep her son the minute he left her side. 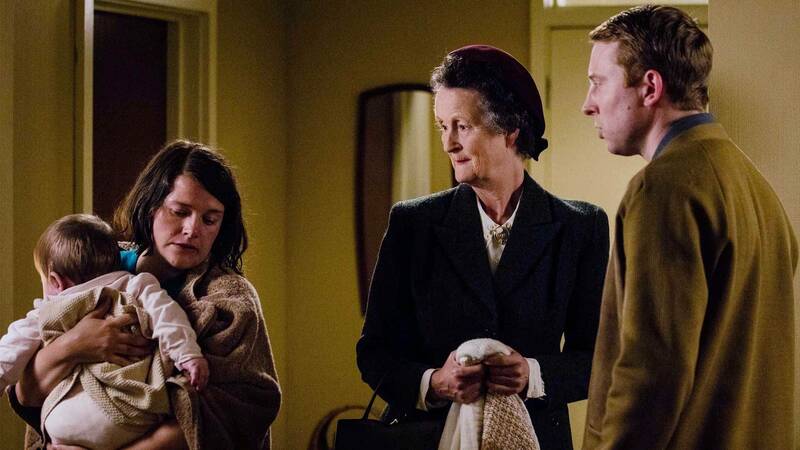 Understanding her suffering, Tom and Sister Winifred accompany Marnie to Dot’s house for moral support. After all, you definitely need backup to reclaim your sister’s child that was originally your child, because we’ve all seen how every episode of “Maury” ends, you know? Understandably, Dot is quite distraught over the ordeal. We’re pretty sure Marnie won’t be receiving any more invites to family gatherings, but she gets to keep her baby in the end, so cheers I guess? In a sad turn of events, we learn that despite a promising surgery aimed to help Gloria carry her child to term, she again miscarries before her operation. Already traumatized after spotting at the hospital for a second time, Shelagh now fears the worst for her own child. At this point, Dr. Turner, Shelagh and even Timothy have prepared themselves for the grief that could lie ahead. As it turns out, the universe has different plans for them. 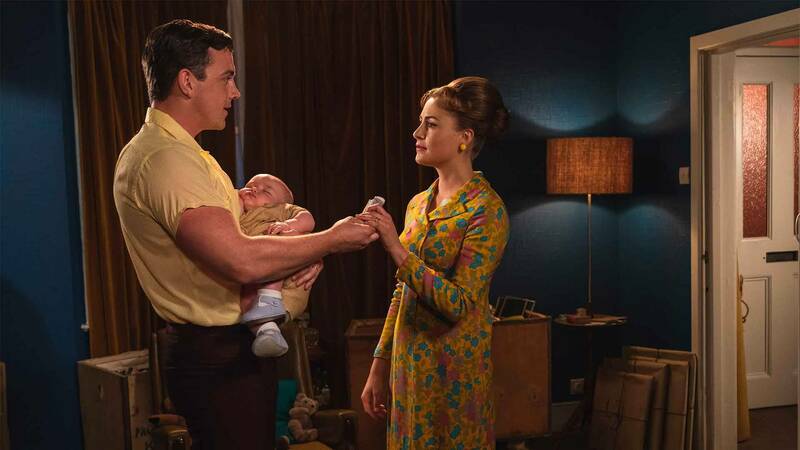 At the conclusion of the episode, the Turners discover that Shelagh’s pregnancy is still on course when the couple hears their child’s heartbeat. They have been through hell and back, but things are working out at last. It happened: Valerie scored the golden ticket into Nonnatus House. Though she didn’t even have an interview (we’ll admit we’re jealous), she did save a man’s life, so her acceptance only seems fair. We can only hope that she’s prepared for the chaos that lies ahead. Godspeed, Valerie. Stream Episode 4 now and don’t forget to catch Episode 5 next Sunday at 8/7c. Read more gif recaps here.